Muscling up for 2019 – from left Ruapani Smith, Storm Stainton (with back to camera) and James Pickering. Photo: Nikki South. 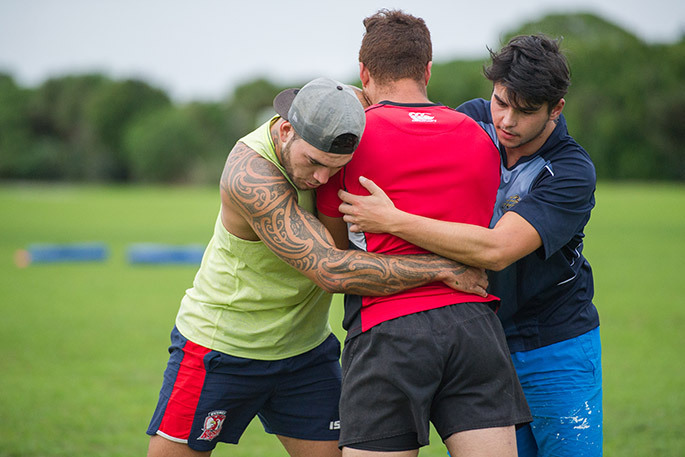 The sweat and toil is hardly over from the 2018 season, and the Kiwis are still campaigning in the northern hemisphere, but in Papamoa, pre-season training and conditioning is already underway ahead of next term. “It’s a prime opportunity to start building on team culture and work ethic,” says Papamoa coach James Nicholson, who’s back for his second season in charge of the Bulldogs. Nicholson is in the process of fulfilling a personal goal. “I said when I first joined this club that I wanted to win a Premiership within three years.” Next year is stage two. And it will come off the back of a solid 2018 campaign, where both Bulldog teams finished in the middle of the table and surprised a few established clubs along the way. Nicholson was awarded Coastline Mariners Coach of the Year, and the Bulldogs fielded a women’s team for the first time. It was a year of modest successes and firsts for the club. There are encouraging signs at the Bulldogs. 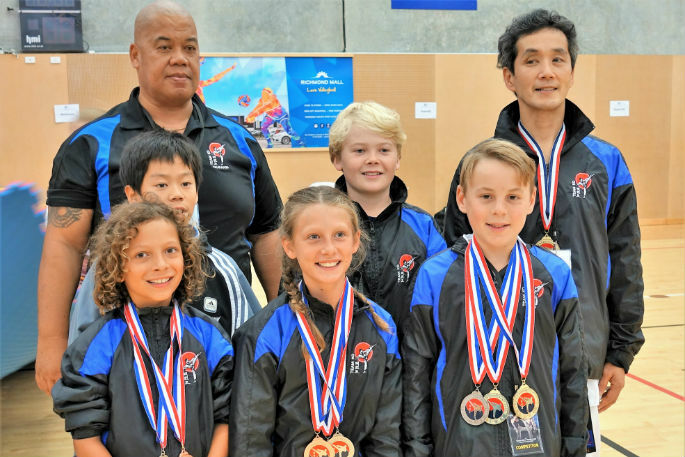 The Papamoa outfit has a very strong junior base, so for the Bulldogs’ seniors stepping up to top grade shows the juniors that there are pathways to senior footie with the club. The Bulldogs’ off-season training starts on Tuesday, November 6, on field four at Gordon Spratt Reserve in Papamoa from 6pm, and every Tuesday through until December 11. “It’s an opportunity to meet new players and keep tabs on fitness, strength and skill levels and then tailor future training sessions accordingly,” says James. Twice weekly pre-season training starts in January, beginning on Monday, January 14 and Wednesday, January 16.